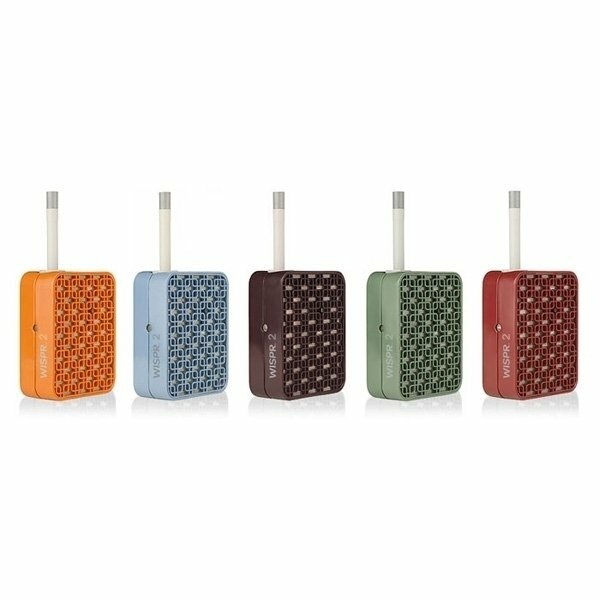 The WISPR 2 is the follow up of the popular IOLITE vaporizer and is one of the most attractively designed vaporizers. Butane powered (via an upgraded and patented proprietary system) and therefore suitable for use as a portable vaporizer, the WISPR 2 is lightweight and about the size of a large wallet - it can easily be slipped into a coat pocket. 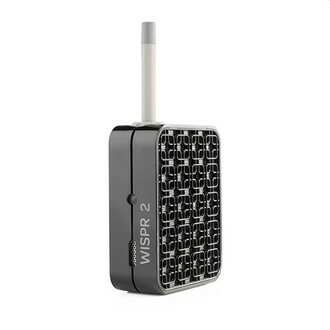 The WISPR 2 heats to vaping temperature rapidly – a few minutes only, and the makers claim you can vape from the WISPR 2 continuously for 3 hours. Make sure to only use the highest quality of butane. Thanks to its ingenious design, the WISPR 2 can be used handheld or with it placed on a tabletop. It’s a great looking vape that comes in 5 different colours, plus the user is able to see how much fuel is left in the device. Early adopters report that the quality of the vapor is much improved on the older IOLITE – but of course, that comes at a price. Also upgraded and patented since the IOLITE is the WISPR’s flexible mouthpiece. Fill the butane reservoir (only ever use high quality butane gas – look for "extra purified butane lighter gas" or "near zero impurities" on the label). Making sure the lighter is turned off, prepare your herbs, pack the filling chamber, then insert it into the WISPR 2 vaporizer. Push down the switch until you hear a click. You’ll hear a slight whisper and an orange light on the device indicates that the WISPR 2 is heating up. This takes about 45 seconds. Place your lips to the mouthpiece and inhale slowly. When finished, push the switch upwards until it clicks to turn the heater off.